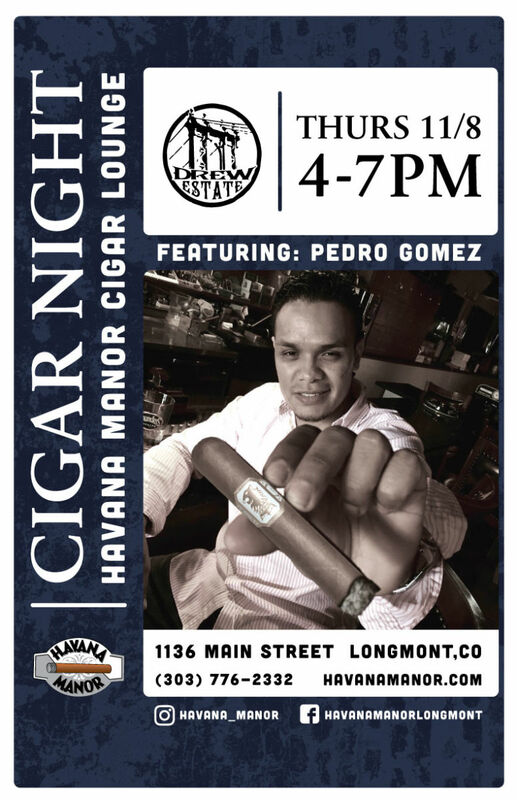 Come out for our Drew Estate Cigar Night featuring Pedro Gomez on Thursday November 8th from 4PM-7PM. Are you ready for this epic day filled with Drew Estate and Joya deals!? Raffles that will blow your mind and the man himself Pedro “Lady Killer” Gomez and his side kick “Quick Wit” JL. Show your love for the Drew Diplomat app and buy a deal and you’ll get a surprise! Be here! This entry was posted in Events and tagged Drew Estate. Bookmark the permalink.